The Setup and Configuration of the Vytru's RVC Base Video Codec is as easy as 1, 2, 3. The installation process of our RVC Base Codec takes less than a couple of minutes. Plug in the ports for conference camera, audio system, Ethernet connection, power, and display and you will be all set. The compact size of the device and its VESA mount makes it easy to attach to the wall or to the back of the screen or to sit on top or under the conference room table. And It does not end here, configuring the system and getting it up and running is as simple as installing it too. The RVC Base Video Codec can be installed by anyone in your IT team. No need for specialized or trained audio/video engineers. No fancy cables or dedicated infrastructure. Simply connect the device to your network and enjoy Lync/Skype Room System experience right away. 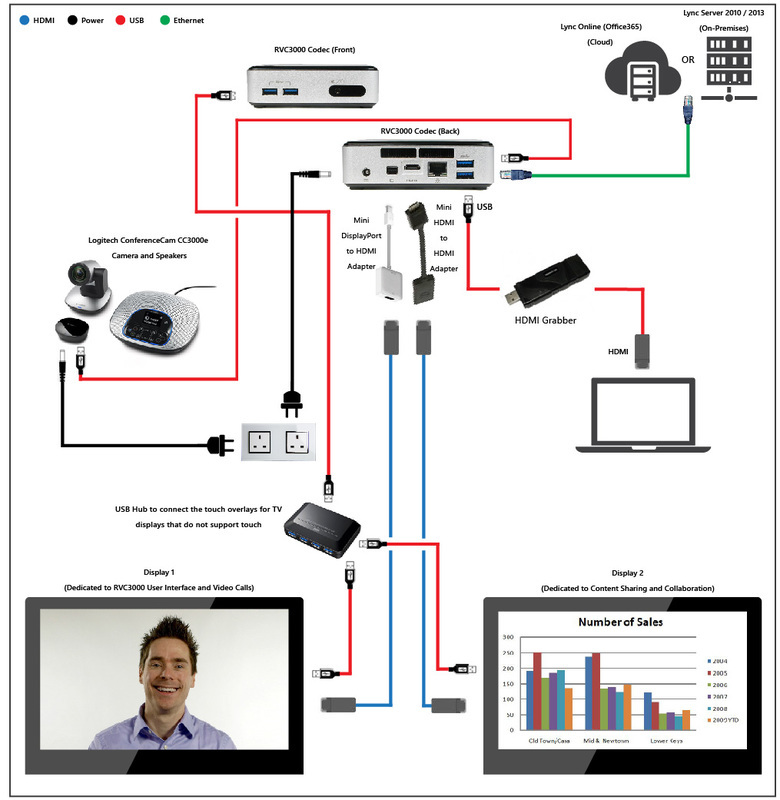 Are you on a tight schedule to fit your rooms with Lync/Skype room devices? RVC Base Codec can be installed and configured in the same day you receive it. This makes access to Lync and Skype for Business video conferencing faster and more convenient. So you need help or support with your RVC Base Video Codec? Our technical support engineers are available around the clock to help you with anything you may need to know about the RVC installation, configuration, or troubleshooting.